They appeared in a period of upheaval. They displayed their shocking and startling new paintings in a series of exhibitions from 1874 to 1886. And by the 1890s, this coalition of artists who rebelled against the formality of the French Academy had created the most famous artistic movement in history. They were the Impressionists, and renowned art critic, historian, and professor Richard Brettell is your expert guide to a group of artists who created a new, intensely personal vision of the world. Who were the Impressionists? What's the difference between a Manet and a Monet? And why is this 19th-century style still so appealing? 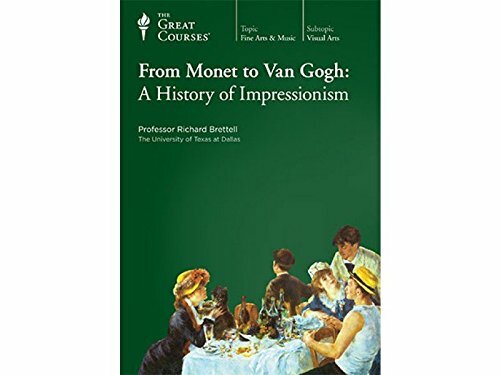 The 24 masterful lectures of From Monet to Van Gogh: A History of Impressionism explain the Impressionist revolution with a deft mix of history, biography, and art. One of the legacies of Impressionism is to leave the viewer with a profound sense of life-of life captured on the canvas, through motion, light, and color, and of life lived by these remarkable artists, always seeking to experience and to learn, to better capture the reality before their eyes. This course is an absorbing lesson in the marvelous cultural, historical, and visual experiences that great paintings provide.